1. 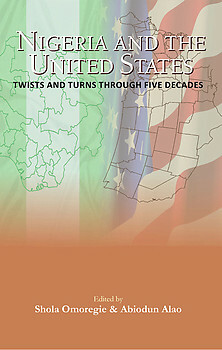 To document all the ramifications of America-Nigeria relations over five decades bringing out the ups and downs of the relationship and their consequences. 2. To assess the impact of the ?past? on the ?present? and the future of Nigeria-America relations. This is particularly important because a complex tapestry of dreams and desires seem to govern the political, economic and security relations between the two countries.